Height: 5’7 and 6’6” Weight: 190 lbs and 250 lbs. 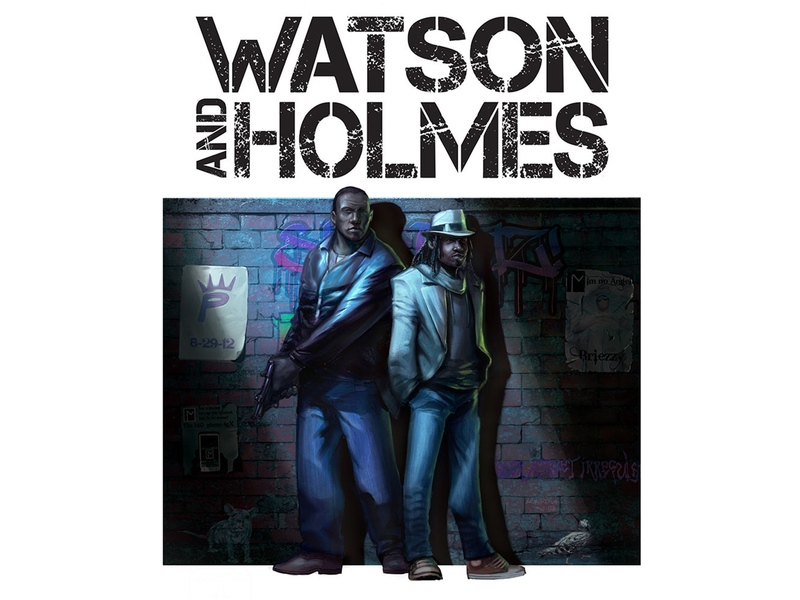 WATSON & HOLMES is a modern urban take on the tales of “Sherlock Holmes” by Sir Arthur Conan Doyle. Re-envisioning Sherlock Holmes and Dr John Watson as African Americans and taking place in New York City’s famous Harlem district, the stories can go in fresh and new directions never traveled before. This is also a series in which Holmes is no longer the central character as he shares equal spotlight with Watson as emphasized by the title. In this take of the classic, Jon Watson is a former para-jumper for the US Air Force returning from Afghanistan, He is currently working in inner-city clinic helping the less fortunate while trying to pay his debts after a hard divorce. Holmes is a private investigator who used to work as a programmer in a internet start-up that went belly-up. Consequently his career was ruined as a result of it. He then decided to become a PI. Both cross paths for the first time when an unusual case Holmes is involved in ends up in Watson’s emergency room. During the investigation, a conspiracy is discovered that links unexpected people together while Watson & Holmes bump heads along the way in more ways than one. ← Meet Arrow Season 4’s Gay Mr. Terrific? !